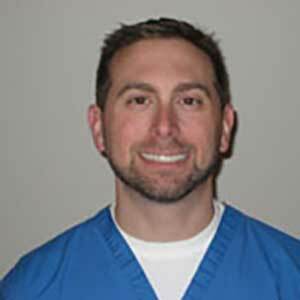 Dr. Jeffrey Russo grew up in Somers, CT. He went on to Saint Anselm College in Manchester, NH, majoring in Biology. Dr. Russo continued his education at the University of Connecticut, School of Dental Medicine. He graduated in 2002 with awards in aesthetic dentistry and dental materials. Dr. Russo very often participates in continuing education and is a member of the American Dental Association, Academy of General Dentistry, Massachusetts Dental Society, and Connecticut State Dental Society. Dr. Russo also participates in the UCONN, School of Dental Medicine, Mentorship program which allows dental students to observe and learn about dentistry in a private practice setting. In his free time, he enjoys traveling with his wife, Toni and children, skiing, and photography. He enjoys following professional football, baseball and soccer. Kathy and Beth are here to help you with all of your scheduling and insurance needs. Their combined years of dental office experience will help answer your questions and ensure your visits go smoothly. Erica, Trisha and Kathy look forward to assisting you with your gum health. They are here to answer all of your dental prevention questions including, but not limited to: diet, oral hygiene, and fluoride. Recognizing that each patient’s needs are unique, they will customize an at-home dental prevention program for you. Nan and Maureen help with making you feel comfortable during dental procedures. Their proficiency in taking x-rays and impressions will help expedite your treatment.